Just wanted to tell you that I loved your profile. Not very many guys on here that know who they are in their faith. It’s very refreshing to see! Hope your day is blessed! Thank you, I appreciate that. It’s been a long journey to get to where I am, but God knew what He was doing the whole time. I like the light-hearted boldness of your profile. I know, you see what I did there, but hey, she was pretty, so I had to close on a flirty up note. Don’t hate. We spent a lot of time exchanging emails, texts, and late night phone calls. One topic we discussed was what a dream vacation looked like. She started off, “well, what girl doesn’t want to go to Paris,” then pondered for a moment, “I’d like to see the nation.” When she asked me the same question, ” RV across America, and see offbeat roadside attractions and some national landmarks.” I was a Navy brat. My dad was a sailor that couldn’t decide if he wanted to stay in the service, or live the civilian life. We traveled a lot, between land-locked states when he was out, and in coastal states when he was in. No matter if we were visiting family in West Virginia, or moving to Kansas, we always drove to our destinations. Speaking of those two states, both sets of grandparents from those two locations, had a couple of state magnets on their refrigerators that I admired every time we would visit. They’re cheesy to some, but I saw them as badges of adventure. 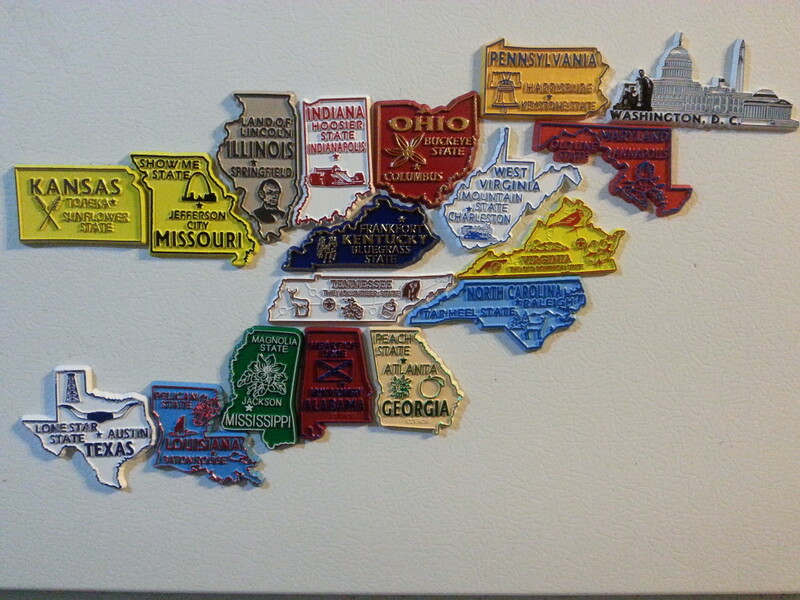 When I took my children on their first road trip from WV to KS, I discovered that they still sold the magnets. Naturally I purchased the states were were traveling through for our fridge. Back to memory highway, mom and dad made our trips fun. If we were lucky we would see the World’s Largest something, or a Mystery Hole somewhere. Two months later, almost to the day, I asked that girl from Texas to marry me. As our wedding day drew near, I was in the process of making her the best wedding present ever. 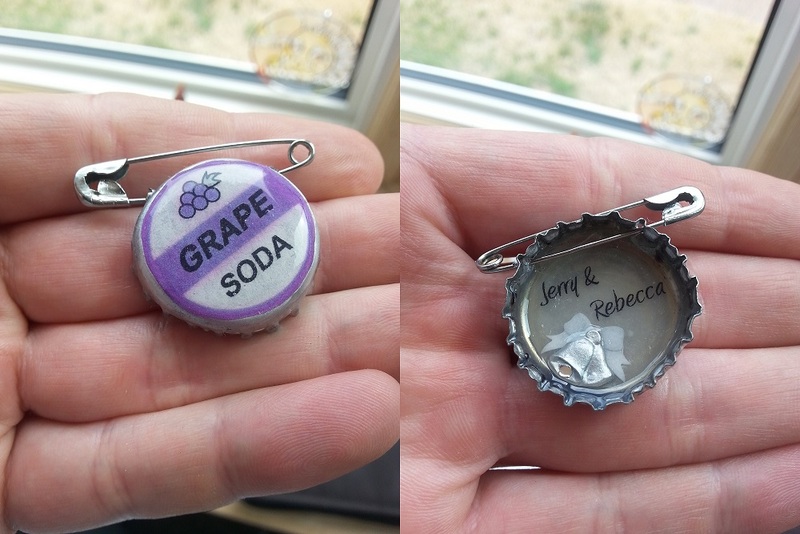 Ok, not the bottle cap her oldest son threw in the trash, that I salvaged and turned into a Grape Soda pin for our Up-inspired marriage. 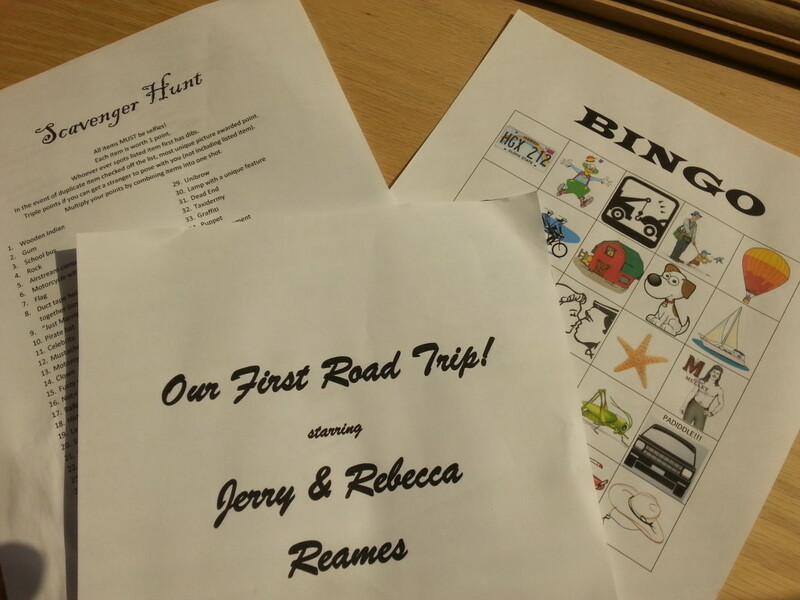 I was drafting the Ultimate Road Trip Scavenger Hunt and Bingo game, ever! So that Rebecca had input, I would interrupt conversations at any given time and ask her to identify random objects in the room or tell me specific items that popped into her head when prompted. At the time she didn’t know what I was doing, but on our wedding day it all came together when I handed her a packet outlining a most epic adventure laced with suspense, awkwardness, and embarrassing challenges (we made a video). Oh, and it had rules and points to be accumulated. As we embarked on our journey, we began to collect our own state magnets. Six months into our marriage we had visited a third of our nation. Where will we go next? I thoroughly enjoyed hearing your story today and intend to follow you. Such a great motivator to enjoy life to the fullest. Thank you for helping us out! As often as we call, we hope to chat with you again soon! Sorry for the long response time (uh! ).